Woohoo! Do you know what special day today is? Well of course you do, it’s Teddy day! This is going to be a history-making event, because the 33rdTeddy award is going to blast you off the roofs! Artists, movies, performances, everything and more during the award ceremony starting at 21.00 at the Volksbühne. You know you’re excited! And it doesn’t end there, the after-show party, of which you’ve surely heard of, is going to start at 23.30 right after the ceremony ends. Hopefully you’ve got your tickets and already know what to wear, we’re so excited to see you there. But in the meantime, we’ve got one new movie we want you to see and several rescreens you could binge on. Jean loves Laura; he is also in a relationship with Samy, and HIV-positive. The three exhaust themselves on a rollercoaster ride of feverish emotions, electrified by longing and a raging lust for life, walking the line between passion and destruction. Well isn’t this just so thrilling! 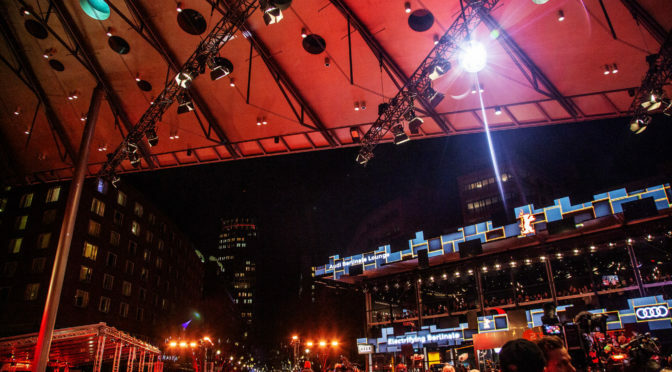 As many of you already know, one of the largest public film festivals in the world, Berlinale, is starting today. And for the next 10 eventful days, as we slowly approach the 33rdTeddy Award, there will be a lot on your to-watch list, way more than last year for sure, and we want to help you optimize it. 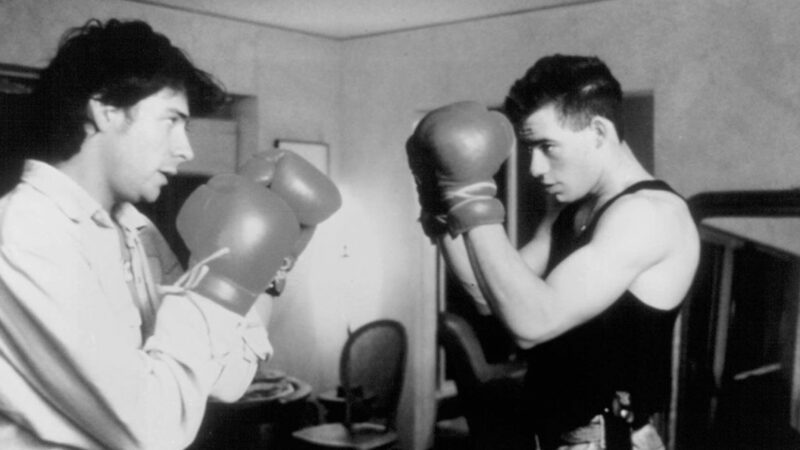 From tomorrow on we will give you insights on all the queer movies of the Berlinale. We don’t want you to miss out, that’s why you’ll be able to find screening times, locations and so much more right here on our Blog. So, don’t miss out on the TEDDY TODAY posts, we’re looking forward to be on this journey with all of you! Isn’t it incredible how exciting the cinematic world can be ? And as if that’s not enough, we’ll also be having interesting interview sessions with the producers / actors of these queer movies during the Berlinale. So keep an eye out for the updates on our social media accounts! Last year marked a significant change in the Panorama team with Wieland Speck giving the floor to a new generation of curators after 25 years. 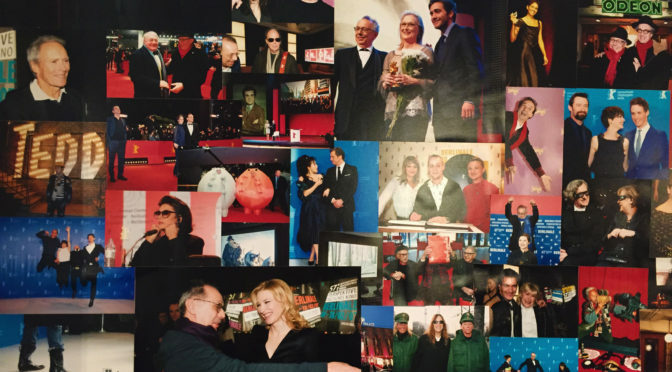 This year the Panorama section of the Berlinale turns 40 years old providing the perfect opportunity to take a closer look at the section’s inspiring past, and in light of that, it’s invigorating presence. I have sat down with curators Paz Lázaro and Michael Stütz to discuss the rich history of the arthouse section, their conclusions from last year, their approaches to this year, and their views on the tactics to safeguard the queer film heritage and the global network of queer film festivals built over the past decades. Our lively discussion illuminated the driving forces of the Panorama and provided a sneak peek into this year’s exciting programme. Michael: I think last year was very successful. I was really excited about the programme because it was very specific. Also, we had a very prominent and radical queer programme which I am immensely proud of. We had a great pool of films to choose from. Paz: Yes, and that’s very important because everything starts with the films. We can never have a preconceived concept, first we have to find the films – or the films have to find us. But the first thing is always the movies themselves. That was our starting point last year just like this time. Michael: Last year was very interesting, because there was such a great diversity regarding the representation of people of colour, for instance. Films like Bixa Travesty, Shakedown, Game Girls, or Tinta Bruta proposed new visions and focused on lives and environments that are not so often portrayed on film. I think we were able to draw a new audience in as well, partly because of the programme’s diversity. We received many positive reactions. Paz: Yes, and that was very encouraging and reaffirming. We weren’t wrong with our instincts, after all. This is very important for a curator, to have good instincts. Because you can never know how the films or your programme will resonate with the industry and the audience. You cannot predict it, you can only have an intuition for it. So it was also very important to us to follow the life of the films after the festival and we are very proud because they did extremely well. Michael: The TEDDY winner Tinta Bruta for instance really travelled a lot around the world’s film festivals and it won many awards, ending up on many “Top 10” lists at the end of the year. It was very good to see that the film was so well received. But in general, films stayed visible throughout the year, which is not a given. Many different factors play a role in that. I think it really speaks for their quality and their commentary on social and political issues. It had to do with the intersectional approaches they took. It wasn’t just identity-driven material, but other topics were brought in too that widened the spectrum. That was very important and it certainly was a goal we had and that we still have. But every year changes. You never know what you are going to discover, and what ends up in the programme. Paz: Exactly. And in this sense, this year was very different than last year, simply because the films were very distinctive. For example, last year we had many lesbian themed films to choose from – this year not so many. Michael: Because they almost all ended up in the Competition programme! Paz (laughs): Yes, we are a bit jealous. But of course we are very happy for them. Michael: And that’s the beauty of the TEDDY. There are films from all sections and we are very happy that there is so much queer content this year in the festival. What was your approach for selecting the films this year and what are the most prominent themes of the queer programme? Michael: We are interested in films that push boundaries. We are looking for films with a distinctive individual voice, and with a unique vision. The intersectional way of storytelling and structuring is also very important for us. Paz: Part of the job is also to look at different films because there is a lot to learn from what is happening in filmmaking in general in a given year. All the films we selected this year have their brothers and sisters out there who did not make it in our programme for various reasons. This is what we call taking the pulse of filmmaking of the year. And this pulse is definitely very different than last year. Regarding the queer materials, sexual and gender fluidity really shifted into the focus, especially with younger generations. It is all very exciting. Michael: Yes, bisexuality is also more widely discussed in this year’s films, which is quite rare in cinema. It’s becoming a bigger topic. Also the fluidity that Paz mentioned. And they do so because they reflect the reality of things. Things are not as determined as they used to be for our generation or the generations before. 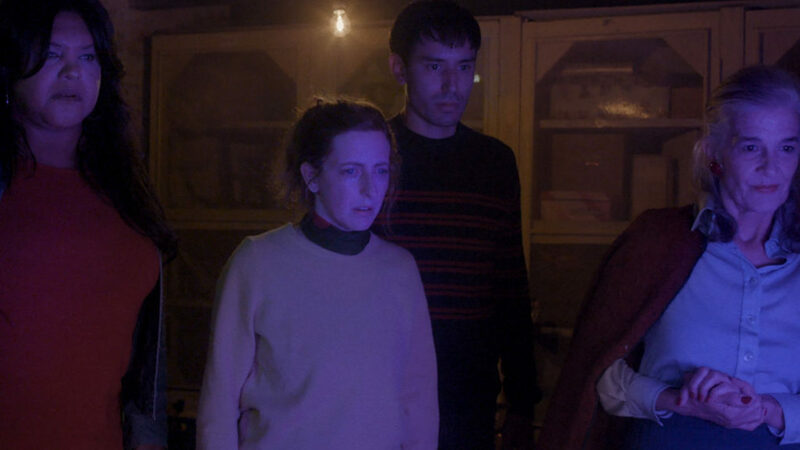 There is a completely different approach to identity and sexual fluidity, and it all reflects in this year’s queer films. Paz: Absolutely. The films ask very important and urgent questions. Why do I have to define myself? A lot of films are dealing with this question this year. It was very refreshing to see this. Especially that geographically these films come from very different places. It seems to be an overarching theme and I am very happy about this trend. Michael: Also the critique and questioning of the norm is very prominent this year. We always had that, but this year specifically there is a focus on this. Like in Normal, for instance. It’s not a classical, typical queer film, not at all. It’s a film that deconstructs gender binary issues and binary stereotypes by looking at rituals we perform all over again in society and that are considered as normal gender behaviour. It investigates how there is no space between hypermasculinity and hyperfemininity in society, how you have to be either clearly one or the other. This film is very interested in this strained binary. Paz: It’s really fun to watch. Especially because the only comment it makes is the title: Normal. Otherwise the camera just observes and it is the audience who have to make up their minds about what to make out of it. And then we have the complete opposite of that. It’s a documentary called Searching Eva. Eva is an absolute free spirit. She refuses to define herself in any way. She invents herself everyday, the way she wants. Identity appears as something that is moldable, and that you can play with and shape it the way you would want to shape it. She really made the world her place. This film, for example, very openly plays with the ideas of fluidity. It’s very fluid, and not just Eva, the main character, but also the world around her. So these films are the two opposite sides of the spectrum. And what’s in between comes from the other films. Were you able to identify any particular queer way of filmmaking in this year’s programme? Michael: When we talk about form I think Searching Eva is again a perfect example because it plays with different kinds of forms, it is a hybrid. It’s not a straightforward documentary, not at all. There are scripted scenes, but then there is a lot of traditional documentary material in it, where it’s almost diary-like. These forms are very fluid with each other. Visualization of the topic and the portrayal of the protagonist alike. Paz: Importantly, queer content is not just narrative. It’s many other things. It can come from form, from the gaze of the film, from a certain logic that underlies the movie. Many, many things can make a film queer. Michael: Yes, I think the formal approach is just as important as the topicality of a film. The way the camera operates, the way bodies are depicted and how corporeality is conveyed in a film all add to their queer content and queer readings. Paz: This year we have quite a lot of queer films in this sense. Acid, for instance. It is more queer than it looks. Michael: It has a love for masculinity. And for the broken masculinity that it depicts. There is a fluid sexuality in it too, but it’s not emphasized, it’s not in the focal point. Paz: And the Russian context also matters there. Systems of oppression come to the front, but queer sexuality and queer sexual tensions remain in the background, however they are being omnipresent in a very delicate way. It’s not the main problem the characters have to deal with, it’s not a problem at all. It is depicted very naturally, but in the gaze of the camera it is very strongly present. Similarly, we could mention Family Members. It has a very unique way of telling a story. No one else could tell this story this way. 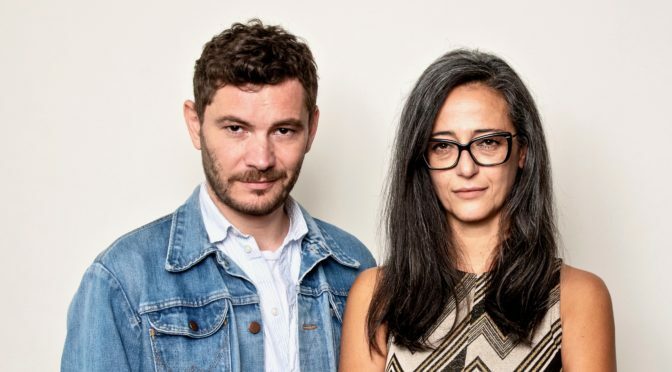 It’s very humorous and very loving, and even though the sexuality and the physical desires of the main character are not the most emphasized elements of the narrative, in a magical way it is very crucial and very present throughout the whole film. And these are first and second films of the directors which is very promising. This year Panorama is turning 40 years old. How did the Panorama change over the years? What are its core values and legacy? Michael: The landscapes of cinema and film culture have drastically changed in these 40 years, and with that the section changed somewhat too. Digitisation, internet, TV, distribution, how people access films – it all changed. For a huge amount of films film festivals are the only means of distribution. The cinematic output is also much bigger and much more diverse. Of course there were so many iconic films made throughout these 40 years, like many movies from the New Queer Cinema movement, but still, there is a bigger plurality now. The core values are there since the beginning. Regarding the TEDDY the first and foremost thing is the need to give a space for queer film within an A category film festival. Paz: In the beginning it all functioned more as a safe net. If the other sections would not have enough queer content than we would help out with that. In the meantime it became an organic process. Panorama isn’t a watchdog over queer content anymore. Berlinale has been emancipated from this thing for a very long time now. Michael: Yes, we are very privileged. These films are coming organically and find their way in the programme. This is of course also because Wieland Speck and Manfred Salzgeber created this stage and voice and attention for the films. They didn’t just create a market for these films, but also an audience which is an immensely important thing. They knew the audience is out there. We are in such a huge urban landscape like Berlin, and diversity is of course out there, but you have to make people aware. Paz: It was always a long-term project for them. They knew that for this to come time is needed and they vigorously built this up which is amazing and unique. I don’t know any other festival where this would happen so smoothly like here at the Berlinale. Michael: Another great thing about this is the diversity that comes with it. I mean, films in the Forum and Forum Expanded sections are completely different than those in Competition, Generation, or here, in Panorama. There is a truly wide range of queer films each year and that it all just happens organically is an enormous achievement. There is a variety in narratives, but also aesthetics and visual approaches. This is also something that makes the TEDDY extremely relevant. Paz: The pioneering vision of Manfred and Wieland just grows every year and is being adopted at other festivals, which is absolutely wonderful. Due to the anniversary of the section, there is a specific Panorama 40 programme curated this year that looks into the history of Panorama. What can a film festival like the Berlinale do to safeguard the queer film heritage that the Panorama gave platform to over these four decades? Michael: It is a very important question, but it is also a difficult one. The festival takes place only once a year, which is already a problem. In the world, there are different models. Some festivals have their own cinema and they programme their films throughout the year and bring back old films too, or book them later for a theatrical run. We do not have this option, so we do other things. We curate programmes for other queer film festivals and initiatives, for instance. Paz: The TEDDY has been asking this question for itself for a long time. How to establish an archive for queer film? How do you make sure these films have a space and they are safeguarded? How do they find their way back to the audiences? And actually this is how the Queer Academy has started, that was the main idea behind it. Michael: Yes, and the idea and the plan are all there for the Queer Academy, it is just not an easy task without any financial support to build a living and breathing archive. The Arsenal for example does a beautiful job regarding archiving and curating, and they have a lot of queer materials in their archive. Paz: Being able to offer a meeting point for queer film festival programmers within one of the biggest A category film festivals is crucial, I think. It’s a good basis for building something like this. There is a lot of work to be done, but the basic structure is there and it’s very solid. Michael: Yes, importantly, we always wanted to include all the queer film festivals because – and this is also exceptional in the case of the Berlinale – the network that has been established between the queer film festivals and the industry and all those who are interested in these kinds of content is a super important part of taking care of queer heritage on a global level. It is a meeting point for programmers and the industry and the audience, basically. That’s a very important part. It is a big advantage. But if you don’t have the financial means, then it’s difficult. You need the people who actually do it, and in the end, it’s a luxury. It’s very hard to get the financial support. We tried many times, and so far it didn’t work. But we won’t give up. This needs a lot of attention, a lot of time, a lot of focus. Paz: Also, if you look at the European Film Market (EFM), queer cinema is embraced there. It’s a big feature for the Berlinale itself. The industry that comes for the market and its queer films alone is huge. It doesn’t exist anywhere else. What Matthijs Wouter Knol did for the EFM is very remarkable. There is no other film market in the world where there is a person working specifically on diversity and inclusion, as Themba Bhebhe does at the EFM. What the EFM did on this level is historic! Michael: And I think there is no other festival where the market is working so closely with the programming team. We are really working shoulder to shoulder. Of course, the EFM plays a crucial role in the lively circulation of queer films which is also part of the job when it comes to safeguarding heritage and queer cinema culture. 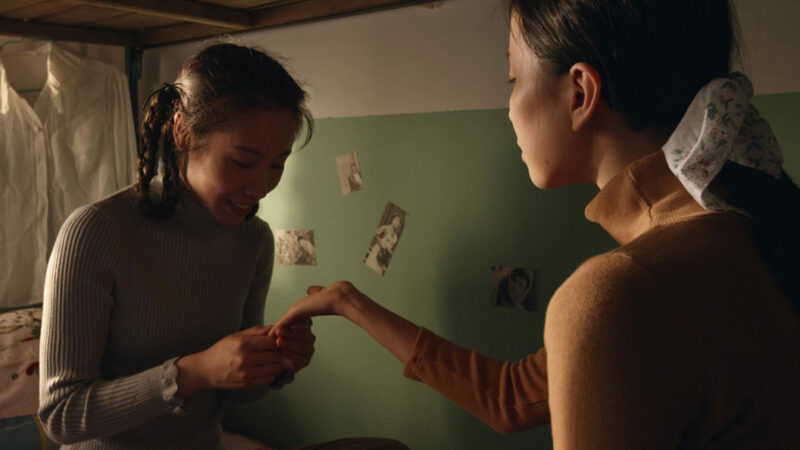 The uneven distribution of queer film festivals in the world and queer titles across the globe is still a prevalent issue. The Queer Academy Summit 2019 is a good initiative to discuss this problematic as well. Networking and collaboration seem to be key for some kind of solution. Do you think it is the future of queer cinema? Michael: A different kind of network and a model for equal distribution is very important. We try to bring together programmers with the industry. But it’s also very complex. And as a programmer there is a limit to what you can do. Somebody needs to take over at a certain step. This is a big topic in film festival theory, but somehow it doesn’t come into practice. Which is strongly tied to economic difficulties. The creativity, the ideas, the passion is all there, but something is needed to catalyse it. And at the moment the dictation of the film market also poses some difficulties. It is very rigid, probably more rigid than ever. If you look at which films make the most money…it’s just franchises. Independent queer voices are in a difficult situation in this environment. Paz: The distribution landscape has also changed immensely. New players like Netflix or Amazon have really changed the game and we have to be aware of that and we have to react to that. We have to somehow keep up with this rapidly transforming field. This year when we were scouting for films in Toronto and we had discussions with members of the industry everybody agreed that the game has completely changed. This is not necessarily bad or good, it is just that we are finding ourselves in a new situation which poses new challenges of course. We are all curious where all this is going, but surely it will have an effect on the distribution of queer titles as well. Our task is to ensure that it would be a positive one. Last year a friend of mine said that she particularly likes Panorama and within that the TEDDY, because it is a section with personality and it is very engaging. What is the key behind the success of audiences connecting so well with Panorama? Michael: It’s also historic. Manfred and Wieland created an audience for these films and that’s the key, first of all. Paz: We have an audience award, audiences feel very visible and integrated. We have Q&As, which are very long, but people like to stay. And that’s a big thing! During a festival everybody has very tight schedules, people always have to run to the next screening, or to grab food, or whatever. But people stay for Q&As and they participate and I think this is very powerful. We are also very present. Michael: Yes, people want to participate. And it has to do a lot with the programme. Different kind of visions, narratives, places, and perspectives can be discovered here. Your own perspective is often challenged, which is very engaging for audiences. The Berlin audience is generally very educated and political, they are very active. They don’t want to see redundant stuff all the time. They want to learn and they want to see. So that’s why we have this mix, that new visions and challenging materials would be presented, but somehow they would still be accessible. Paz: We are very palpable. We are there. We don’t hide in the glam. It’s a festival where everybody is present on an equal level: programmers, the industry, the press, the audience, everybody. Michael: Certainly. It’s just all very accessible. To all people – well, that would be a lie. You have to pay for the tickets, you have to understand English, but still, especially in comparison with other festivals, it’s very accessible for audiences. Paz: Filmmakers are also very open and they want to get to know their audiences. They like to engage with them and they look forward to it! Our budget is very limited in this sense, too. But still, the team does an amazing job and the filmmakers are always partners in it too. It’s just part of the Panorama DNA. Everybody gets out of their way to make things happen. It’s a passion we share, and that helps to go beyond our boundaries. This is actually what we have learnt from the beginning, and again, it all goes back to the fantastic work of Manfred and Wieland and the enormous job of the Panorama Team. Somehow it is just never a question. This is how Panorama works. 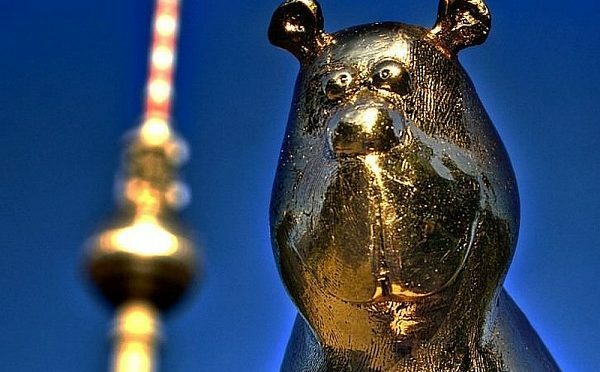 For the first time the online magazine queer.de is going to be the media partner of the TEDDY AWARD. The diverse jury of five people representing our community decides which one of the nominated films will receive the TEDDY Readers’ Award 2019. The jury members are Amanda Halbrock, Oliver Maus, Katayun Pirdawari, Gerlinde Kenkel and Fabian Schäfer. At 21, Amanda Halbrock from Berlin is the youngest member of the jury. The non-binary queer person, who has recently been on the road as a Dragking, is looking forward to the task and wishes to see the diversity of the community reflected on the screen. Oliver Maus will be visiting us from Vienna. The 25-year-old media science student wants to add an analytic insight of the queer cinema to the jury. Katayun Pirdawari has been on several juries for the TEDDY Readers’ Award in recent years. For the 56-year-old lesbian from Berlin, the Berlinale is a festival of cultures and a trip around the world. Gerlinde Kenkel, also from the German capital. The 63-year-old lesbian trans woman is especially looking forward to the exchange with other film fans without bending herself. She hopes for films with surprising content. Fabian Schäfer is a freelance journalist and has been studying in Sofia since the winter semester. The 24-year-old prefers to focus on everything that goes beyond the heteronormative framework and wants to present queer people authentically and in all their diversity in the media. 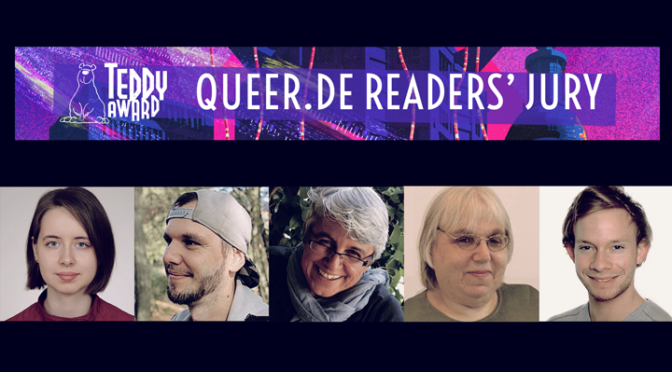 TEDDY Readers Award powered by queer.de In 2019 queer.de will be the media partner at the TEDDY and will present the Teddy Readers’ Award. If you would like to become a member of the jury and participate in the decision making process for the “Teddy Readers’ Award powered by queer.de“, you can apply to queer.de from now until 21 December 2018.